In a recent interview, Rajiv Bajaj, MD, has stated that new variants of Bajaj Pulsar, Platina and CT100 are going to be launched by June this year. Bajaj Auto has cleared that it plans to focus on Pulsar, Platina and CT100 series. These three series are generating the highest sales for the manufacturer, while Discover and V series generate poor sales. In an earlier report, it was hinted that Bajaj Pulsar might series might receive a big makeover, which will make it a little distinctive. Rajiv Bajaj has hinted that they have come up with smart ideas for the new products. Further more, there will be new variants under these mentioned brand names. Each of them would have one new feature, which will be its added USP. Other than that, there are no such revelations regarding the upcoming bikes. There are many speculations regarding the upcoming bike, including either new variants or significant updates to the existing one. A couple of months back, a report stated that Bajaj is working on the Pulsar 250. Pulsar NS200, RS200 and Dominar use KTM’s 200cc and 373cc engines in a detuned manner. Pulsar 250 might use the engine that comes on Duke 250. However, it is not known whether the upcoming bike will be available in NS or RS styling. Bajaj Pulsar NS125 is also speculated to launch in India, which will basically replace the defunct 135LS. However, recent reports confirm that the baby Pulsar will be launched by the end of 2019. Pulsar 125 looks identical to the 135LS, which was once a very popular motorcycle. 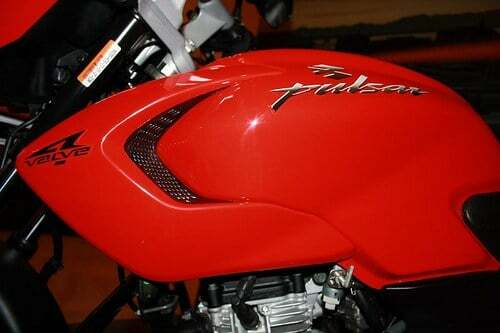 However, with time, its sales fell rapidly as buyers began to switch to Pulsar 150. Lastly, the manufacturer might update the entire series completely. There are no possibilities of BS-6 engine being onboard, as the emission norms are scheduled to kick in from April 2020.